This Potato Ricer was given to me as a present and I am delighted with it. It seems very well made and after nearly a year of use I've had no problems with it in regular use. The ricer is mostly made of very hard plastic, solid and thick held in the hand, with a metal ricer attachment. It's a bit like an old-fashioned meat grinder watching it ooze out! 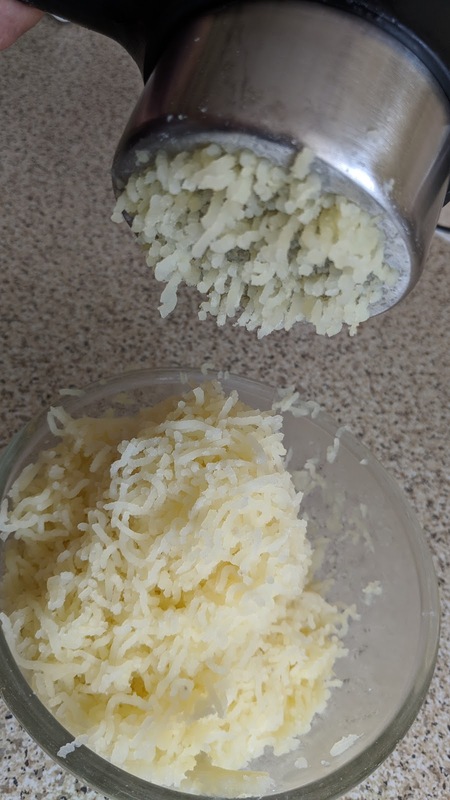 The potato comes out shredded, smooth, light and with a soft texture and the big lever-action ensures that it's easy to press together. It is ideal for cottage pies, fish pies and the like, as the potatoes do not sink into the meat/fish. 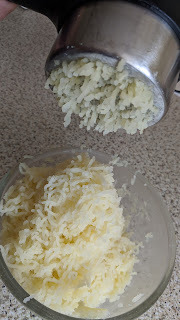 It seems much easier to me than mashing potato with masher or fork, or whatever you might use - and the the result is so much nicer! It can be washed in the dishwasher which is great as I do think it would be a bit fiddly to wash by hand. There are several on Amazon which look like they all do the same job, of course, I can only vouch for the one I have which is about twenty quid. Recommended.